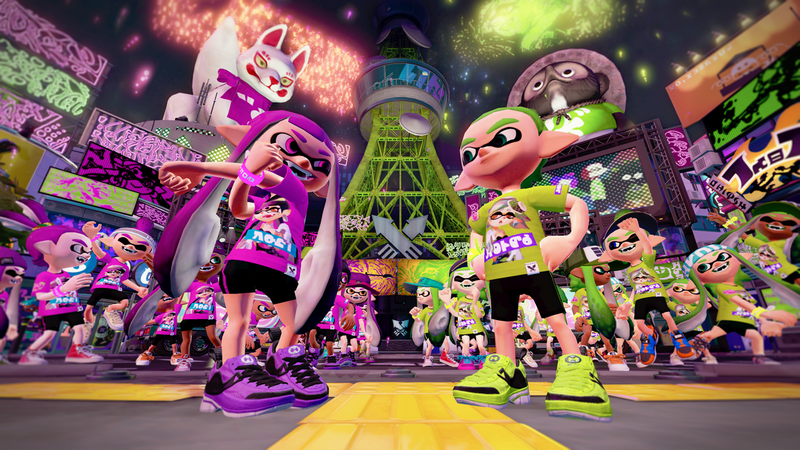 The final Splatfest for Splatoon will take place in July. The theme for the final showdown will be showing your allegiance to one of the Squid Sisters: Callie or Marie. The Splatfest will start at 2am PT/5am ET/10am UK on July 22 and ends at the same times on July 24. It’s a worldwide event with each region playing with the home team: Japan vs Japan, Europe vs Europe and North America vs North America. Results will be tallied and the top 100 players from each region will be announced separately. Players can choose which Squid Sister to support and pick up their Splatfest shirt on July 4, at 7pm PT/10pm ET/3am UK. Additional information on the final Splatfest can be found on the Spatoon Tumblr. Support for the game starting winding down in January of this year, with the release of the game’s final map. Splatoon was released for Wii U on May 28, 2015.